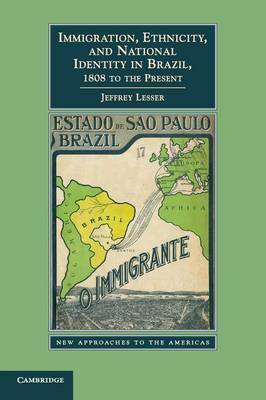 Immigration, Ethnicity, and National Identity in Brazil, 1808 to the Present examines the immigration to Brazil of millions of Europeans, Asians and Middle Easterners beginning in the nineteenth century. Jeffrey Lesser analyzes how these newcomers and their descendants adapted to their new country and how national identity was formed as they became Brazilians along with their children and grandchildren. Lesser argues that immigration cannot be divorced from broader patterns of Brazilian race relations, as most immigrants settled in the decades surrounding the final abolition of slavery in 1888 and their experiences were deeply conditioned by ideas of race and ethnicity formed long before their arrival. This broad exploration of the relationships between immigration, ethnicity and nation allows for analysis of one of the most vexing areas of Brazilian study: identity.